Beautiful 3rd floor Zafiro condominium. Highly upgraded. 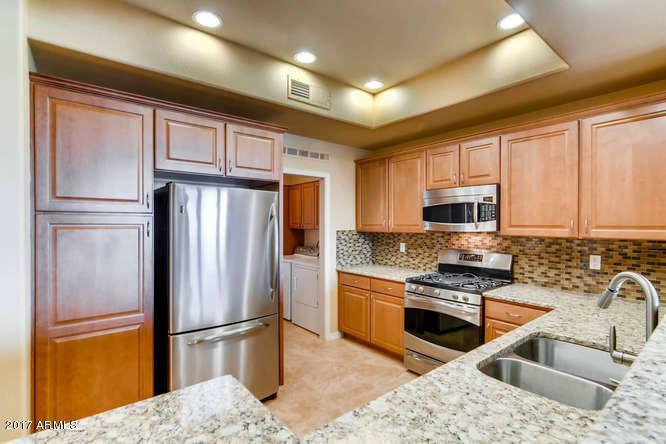 Condo features granite counters throughout, stainless appliances w/ gas range, dishwasher,refrigerator,microwave. Laundry room w/cabinets includes w/d. Breakfast Bar w/granite counter. Pantry w/pull out shelves. Great Room & Dining have access to corner view balcony. 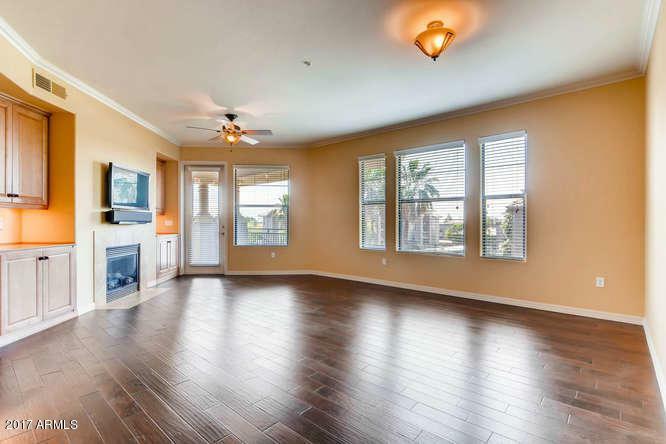 Recently installed Great Room tile floor & Master BR carpet. 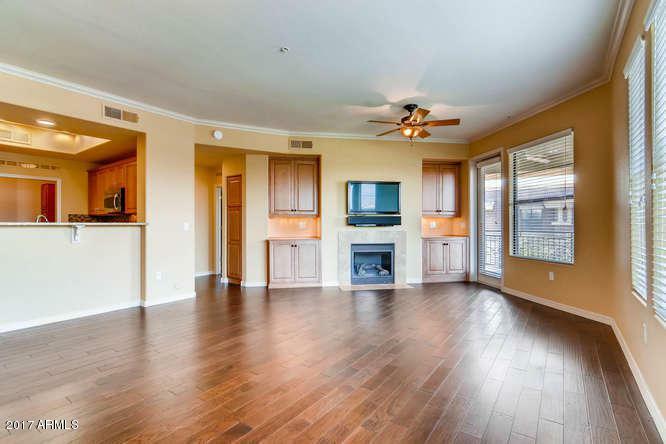 Master features walk in closet,balcony access,&luxurious Master Bath w/ double sinks,tile shower,glass enclosure. Split floor plan. Clubhouse w/resort style pool/spa/fitness center. Gated w/2 underground parking spaces, elevator. 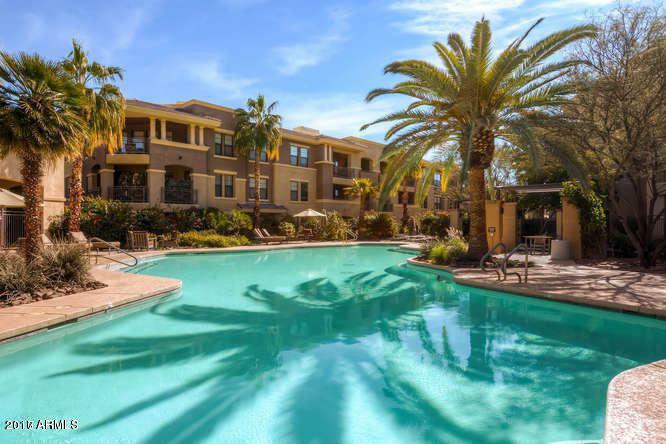 Located next to Silverado Golf Course, Scottsdale greenbelt. Close to Dining,Shopping,Casino,101,Spring Baseball,Railroad Park,Old Town,coming soon Ritz Carlton!